The purpose of the grant is to educate future lawyers about the practice of labor and employment law, give students the opportunity to have hands-on experience in the field of labor and employment law. Any law student who have completed at least one year of law school by the proposed project begin date is eligible. If the idea of $6,000 for summer and Labor and Employment Law sound like a great pairing, please by Student and Career Services Ste. 346 and talk with Huy Nguyen for complete application instructions. Did you volunteer for IFAP, PFJP, SYLAW, CHRJ App Help, ELS research project? Do pro bono work for a community-based legal or public interest organization? Volunteer as a case manager or leader for a student-led pro bono project? Intern last summer for a public interest organization and didn’t get a summer grant, stipend or externship credit? If you can answer YES to any of these questions you are likely eligible to participate in the UW Law Pro Bono Honors Society! Learn more and apply here. The Joan Fitzpatrick Fellowship in Human Rights (“Fellowship”) is awarded to a University of Washington School of Law student. The purpose of the fellowship is to provide financial assistance to a UW School of Law student who has demonstrated an interest in human rights law, and who is performing (or planning to perform) unpaid law-related work in human rights during the summer or the following academic year. The Fellowship amount is generally up to $5500. The recipient will be required to obtain the consent of the Joan Fitzpatrick Endowment Fund Committee (“Committee”) before receiving any additional funding. The recipient cannot simultaneously accept PILA funding. The University of Michigan Law Clinical Fellows Program seeks applicants for a fellowship in its Entrepreneurship Clinic (EC). This is a two year appointment with the possibility of extension for a third year. The Clinical Fellows Program is designed to fully support attorneys wishing to explore the possibility of a career in clinical teaching. Michigan Clinical Fellows gain valuable experience and mentoring in clinical pedagogy and in their substantive area of practice. Their duties include clinical teaching and student supervision in conjunction with a clinic director, and participation in the operation and development of the clinic in which they teach. Support is provided for personal and professional development and scholarship. The UW Native American Law Student Association is hosting the annual Salmon Bingo Dinner, a family friendly evening of bingo games and good food. Enjoy playing bingo; build community with current students, alumni, and Indian law practitioners; and, celebrate students’ effort to advance Federal Indian legal issues this academic year. The Washington State Bar Association (WSBA) invites you to a community networking event in Bellevue. This event is a great opportunity to meet and mingle with members of the legal profession. The WSBA remains committed to achieving inclusion and supporting the efforts of our local, specialty, and minority bar associations. We are proud to partner with the Filipino Lawyers of Washington, the Latina/o Bar Association of Washington, the Loren Miller Bar Association,Washington Attorneys with Disabilities Association, and Washington Women Lawyers to bring you this opportunity to network and connect. Please RSVP here by April 19. May 9: GiveBIG Open House! 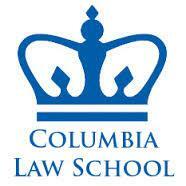 The Columbia Law School Human Rights Institute invites candidates for the position of Legal Fellow for the Institute’s human rights in the US work. This position will run from September 2017-May 2018, with the possibility of renewal. The Legal Fellow will play an integral role in strengthening awareness and implementation of international human rights norms in the United States, with a particular focus on advancing racial and gender justice, equality, and accountability. The Northwest Justice Project (NJP) is a not-for-profit law firm whose mission is to combat injustice, strengthen communities and protect human dignity through provision of civil legal services to Washington’s low-income populations. NJP seeks applications from qualified attorneys to work within our King County office on the Family Advocacy Center (FAC) project, a partnership with the Center for Children & Youth Justice, to prevent the unnecessary placement and prolonged stay of children in foster care. FAC’s offices are located at the YWCA South King County Regional Center in Renton. The ACLU of Washington welcomes applications from graduating third-year low students and recent law graduates to work with us under a public interest legal fellowship. As an integral part of ACLU-WA, the fellow will work closely with attorneys in the Legal Department and/or the Policy Advocacy Group to gain practical experience through defending and expanding civil liberties and constitutional rights. The position will provide recent graduates with a unique opportunity to participate in our cutting edge legal work, gaining practical hands-on experience in a supportive and mentoring environment. Legal Aid Service of Broward County (Legal Aid), located in South Florida, is interested in applying for a Christine A. Brunswick Public Service Fellow for the 2018-2020 Fellowship term with Legal Aid’s Low Income Taxpayer Clinic (LITC) located in both Broward and Collier County, Florida. 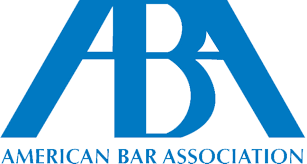 The American Bar Association Section of Taxation is the largest professional association of tax lawyers, with approximately 20,000 members nationwide. Its goals include helping taxpayers better understand their rights and obligations under the tax laws and working to achieve a simplified tax system that is equitable and efficient. The Public Service Fellowship program was developed in 2008 to address the unmet needs for tax legal assistance, and to foster an interest in tax-related public service among those individuals who participate. ART Human Rights Policy Counsel, USPA Center: The Center for Reproductive Rights (the Center) is the premier global legal organization dedicated to advancing women’s reproductive health, self-determination, and dignity. Its mission is straightforward and ambitious: to advance reproductive health and rights as fundamental human rights that all governments around the world are legally obligated to protect, respect, and fulfill. Headquartered in New York City, the Center has regional offices in Bogota, Geneva, Kathmandu, Nairobi, and Washington, DC and a staff of more than 130 diverse professionals. Its annual operating budget is approximately $23 million, the result of an extraordinary growth trajectory; the Center is now poised for a new phase of significant expansion through its next Strategic Plan. The Seattle Immigration Court has openings for Winter 2018 volunteer legal interns. • Drafting decisions on applications for relief from removal, such as asylum, withholding of removal, and protection under Article 3 of the U.N. Convention Against Torture. Students who are entering their second or third year of law school are eligible and encouraged to apply. Applicants must be in current student status. Prior knowledge of immigration law is helpful but not necessary. Strong research and writing skills are required. All applicants must be United States citizens and must successfully complete an FBI background check before beginning their internship. Interested students must submit a cover letter detailing their interest in the internship, résumé, 5-10 page writing sample, law school transcript (unofficial acceptable), and contact information for three references by Wednesday, October 18, 2017. Please submit all direct inquires and application materials to Anna Cleveland via email at Anna.Cleveland@usdoj.gov. Peggy Browning Fellowships, LSC 2017 Justice Gap Report, 2017 UW Law Pro Bono Honors Society! 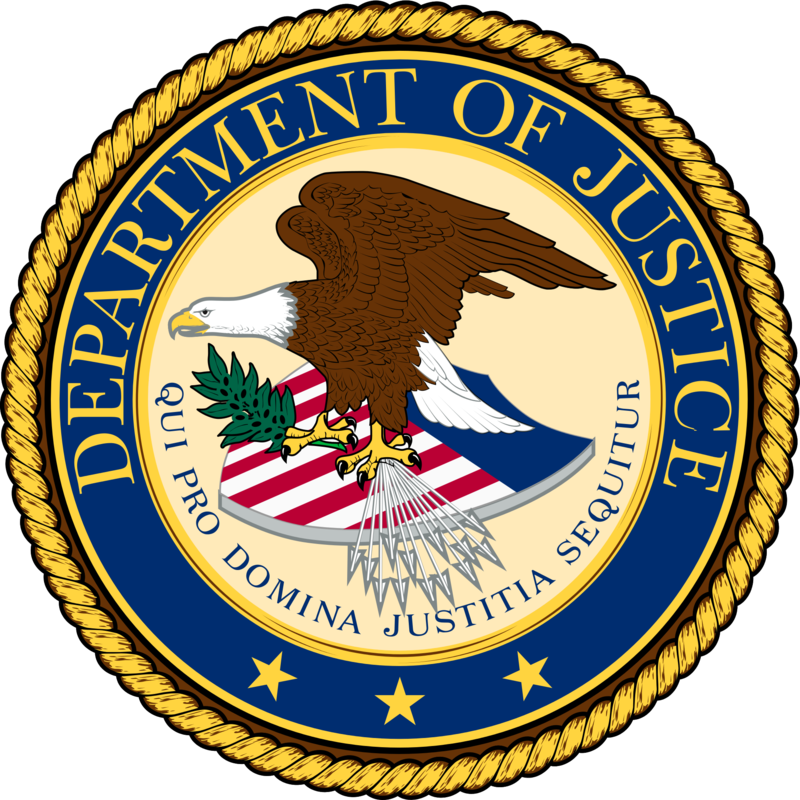 The U.S. Department of Justice (DOJ) is hosting a Career Information Fair on Thursday, July 13, 2017. From 3:00 – 4:00 p.m. the event is open to a limited number of law students who are working in DC this summer. The Career Information Fair is an opportunity for students interested in volunteer internships, the Honors Program (HP), or Summer Law Intern Program (SLIP) to learn more about the many offices and components in DOJ. There is no interviewing at the fair. Attendees are encouraged to visit with representatives from various DOJ components, learn about the interesting and unique work of each office, and ask specific questions about volunteer, HP, and SLIP positions. The HP and SLIP applications open on July 31 and close on September 5, 2017. RSVP information can be found here. Ropes & Gray has long been a proponent of law firm inclusion and diversity, dedicated to attracting and retaining outstanding lawyers of varied backgrounds. The scholarship is designed to help offset law school costs for members of populations historically underrepresented in the legal profession. The scholarship provides $25,000 (less required income and payroll taxes) and a summer associate position to up to five 2Ls. Application deadline July 14. Legal Services Corporation’s 2017 Justice Gap Study finds 86 percent of low-income Americans’ civil legal issues get inadequate or no legal help. access, housing conditions, and health care. inadequate or no legal help. Read the full report here, and the Executive Summary here. Congratulations to the 2017 Members of the UW Law Pro Bono Honors Society! At UW Law, we believe that members of the legal community have an obligation to help reduce barriers to access to justice. Providing high quality pro bono legal services to low-income clients and other under-represented groups is paramount. To this end, the UW Law School’s Pro Bono Program and Honors Society recognizes members of our law school community (students, faculty and staff) who commit to providing high quality pro bono legal assistance and community service. We encourage law students to provide at least 70 hours of law-related pro bono assistance by graduation (30 hours for LLM and PhD students). By providing training, support, resources, opportunities and leadership development to our students, the program ensures that future lawyers are prepared and ready to fulfill the promise of equal justice. The Attorney General is the chief legal officer for the state of Washington, and the Attorney General’s Office serves more than 230 state agencies, boards, commissions, colleges and universities, as well as the Legislature and the Governor. In furtherance of its mission to deliver the highest quality professional legal services to officials, agencies, and people of the state of Washington, the AGO covers a remarkably diverse legal landscape, including social and health services, consumer protection, civil and administrative litigation, environmental law, torts, tribal law, labor law, appellate practice and criminal prosecution. Apply and learn more here. The Texas Civil Rights Project (“TCRP”) seeks a passionate, talented attorney based in our Austin, Texas office. While the position will focus on impact litigation and other advocacy on behalf of immigrants and their communities, the attorney will also be staffed on matters within TCRP’s Criminal Justice Reform and Voting Rights programs. The 2018 Equal Justice Works Fellowship application will open June 28 and close September 27, giving law students more time to draft a standout application! Students should start to prepare for the 2018 Fellowship application now by reaching out to non-profit organizations they may want to partner with on an innovative proposal. Check out where Fellows have been hosted in the past for some ideas, but keep in mind that any non-profit in the country is eligible! Please refer any non-profit organizations interested in hosting to Sarah Lilly at SLilly@equaljusticeworks.org for questions and assistance. Read more and prep your application here. SAM is a nonprofit corporation operating three museum venues in Seattle. These locations are the Seattle Art Museum in downtown Seattle, Olympic Sculpture Park on the central Seattle waterfront, and the Asian Art Museum in Volunteer Park. As the leading visual art institution in the Pacific Northwest, SAM draws on its global collections, powerful exhibitions, and dynamic programs to provide unique educational resources benefiting the Seattle region, the Pacific Northwest, and beyond. KCBA seeks a fulltime director to lead and manage the bar’s pro bono programs. The director works to leverage and grow the commitment of the local bar to provide effective representation and counsel in targeted areas of legal need. Areas of responsibility include management of KCBA’s existing pro bono programs; volunteer recruitment, mentoring, and oversight; and coordination of KCBA activities with local, state, and national pro bono networks. 6) the rights of people to practice their religion while confined to state and local institutions. The State of Alaska, Department of Law is recruiting for one attorney for a two-year fellowship in the Opinion, Appeals, and Ethics Section of the Civil Division. Interested candidates must submit a complete resume package as described in this announcement. The Department will begin evaluating and hiring for this position on May 16, 2017. To be assured of consideration for this position, interested applicants should apply before 4:30 p.m. on May 16, 2017. Applications received after that date will be considered if the position remains available. Applicants who have questions about the position should contact the people identified below. The American Civil Liberties Union of Washington (ACLU-WA) is looking for a 2017 Summer Legal Intern to support the work of the ACLU’s Campaign for Smart Justice. A minimum of 15-20 hours per week for 10 weeks is required. The ACLU Campaign for Smart Justice is driving criminal justice reform in Washington State. It aims to roll back mass incarceration and put a stop to court practices that are racially discriminatory and that punish the poor and vulnerable in our community. The legal intern will support legal and policy efforts aimed at reforming the pre-trial bail system and sentencing practices. This will involve conducting court observations, legal research, and assisting in policy reform. The American Civil Liberties Union is seeking a full-time Staff Attorney to work in the National Legal Department, in collaboration with the National Legal Director. The position will be based in New York City and/or Washington and will focus on the work of the National Legal Department, with the opportunity to work with the legal projects and programs that are in need of additional expertise. The Staff Attorney will report to the National Legal Director. This is a 2-year limited duration position with the possibility of extension. Tides is a foundation and nonprofit partner committed to building a world of shared prosperity and social justice. Founded in 1976, Tides’ accelerates the pace of social change, working with innovative partners to solve the world’s toughest problems. Tides focuses on equality and human rights; a sustainable environment; healthy individuals and communities; education; and economic development. Tides’ services include donor-advised funds, fiscal sponsorship, and shared spaces in San Francisco and New York City. Professor Joan M. Fitzpatrick was a much loved and universally respected professor of human rights and international law at University of Washington School of Law. She helped establish human rights law as a legitimate field of legal specialization, tackling issues such as protecting refugees, promoting women’s rights, campaigning for gay and lesbian rights, and enforcing human rights during states of emergency. After her untimely death, students of Professor Fitzpatrick, determined to honor their beloved professor and the ideals she stood for, established the Joan M. Fitzpatrick Fellowship in Human Rights as a permanent memorial in her name. The Fellowship is for a UW School of Law student with a demonstrated commitment to international human rights and an interest in working in the field in the future. The Fellowship award is intended to enable the recipient to travel and work at a nongovernmental, governmental or intergovernmental organization working on human rights and make a significant contribution during the period of fellowship (typically during the summer). The Fellowship is not intended to support research at an academic institution. Read more and get application here. The Seattle Office for Civil Rights (SOCR) today announced a new hotline for people to report harassment in Seattle. The Hotline is part of the City of Seattle’s Bias Hurts Campaign for Seattle residents and business owners who are the targets of discriminatory harassment, including threats, slurs, intimidation and cyberbullying. Call 206.233.7100 or go online to report discriminatory harassment. Originally published March 3, 2017 by Washington State Attorney General’s Office. Media contact Peter Lavellee. “Late yesterday, Attorney General Bob Ferguson led a coalition of 18 states and the District of Columbia in urging the United States Supreme Court to uphold a lower court ruling recognizing the right of a transgender student in Virginia to use the school bathroom corresponding to his gender identity. The states, co-led by Ferguson and New York Attorney General Eric Schneiderman, filed an amicus, or “friend of the court,” brief in Gloucester County School Board v. G.G. The ABA Standing Committee on Legal Aid and Indigent Defendants & The National Legal Aid and Defender Association invite nominations for the 2017 Harrison Tweed Award. The Harrison Tweed Award was created in 1956 to recognize the extraordinary achievements of state and local bar associations that develop or significantly expand projects or programs to increase access to civil legal services for persons living in poverty or criminal defense services for indigents. The award, given annually by the ABA Standing Committee on Legal Aid and Indigent Defendants and the National Legal Aid and Defender Association, is presented during the ABA Annual Meeting at a joint meeting of the National Conference of Bar Presidents, National Association of Bar Executives and National Conference of Bar Foundations. Read more and nominate here.